Sheela Patel is Director of the Society for the Promotion of Area Resource Centers (SPARC) and for the construction company SPARC Samudaya Nirman Sahayak (SSNS), which, in collaboration with National Slum Dwellers Federation (NSDF) and Mahila Milan (MM), aims to explore, test and produce scalable solutions to alleviate issues of urban poverty, focusing on tenure security and basic services. SPARC hosts a partnership with ESID to undertake a study on Jawaharlal Nehru National Urban Renewal Mission (JNNURM). Sheela’s research interests are in urban development; understanding urban informality; and the role of state institutions in exploring pro-poor interventions with organised communities. Her real, deep interest is to build the capacity of communities of the urban poor to begin to lay the agenda for research questions, participate in the research, and to use the knowledge generated to shape their own advocacy and representation. Patel, S. and Paul, A. (2010). Re-Dharavi: Re-interpreting, Re-imagining and Re-development. Mumbai: SPARC/KRVIA. 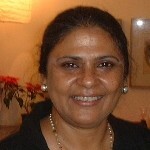 Sheela is Chair of Shack Dwellers International (SDI); Board Member of Axis Bank; and a member of the Committee for Institutionalisation of Community Participation and Research on Incremental Housing, Government of India Ministry of Housing and Urban Poverty Alleviation.